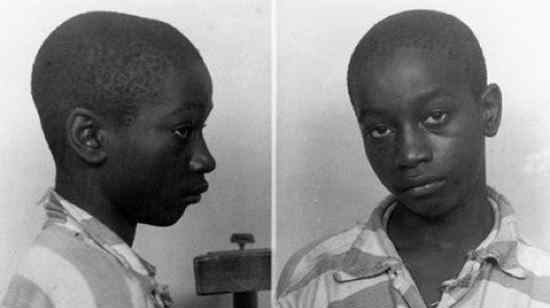 George Stinney was, at age 14, the youngest person executed in the United States in the 20th century. No witnesses were called for the defense. The trial lasted two and a half hours. The jury took ten minutes to deliberate before it returned with a ‘guilty’ verdict. Stinney walked to the execution chamber with a Bible under his arm, which he later used as a booster seat in the electric chair.